contact Local Helping Hands for advice. inappropriate physical contact and aggressive behaviour. be dealt with by the directors of Local Helping Hands in a timely manner. Our role does not stop at practical help in the home. We believe that we have a duty of care to safeguard adults. We will therefore flag up any concerns or changes to the client’s health and wellbeing to the designated next of kin. 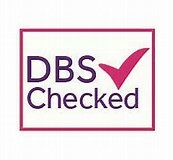 We require all staff to hold a current Enhanced Disclosure from the Disclosure and Barring Service (DBS). This will be reviewed regularly. Any criminal charges brought whilst in employment must be disclosed to your manager.